Akamai Technologies is extending its content delivery network to the Apple iPhone as it introduces the Akamai HD Network, a system for streaming high-definition live and on-demand video to a variety of devices. 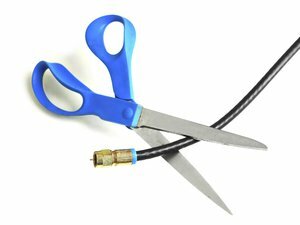 The HD Network will let content and service providers offer online video that matches the traditional TV and DVR (digital video recorder) experience through buffering, adapting to network and processing speeds and features for navigating the content, Akamai said on a video announcement on Tuesday. The company is pitching the technology, an upgrade to its existing network, to streaming video providers now. Consumers will be able to watch HD Network content on PCs in the Adobe Flash and Microsoft Silverlight formats, but also on the iPhone, said Akamai President and CEO Paul Sagan. He gave few details about the iPhone offering, including which mobile operators or third-party content providers might use it. But if Akamai’s infrastructure can deliver high-quality live video to the popular handsets and AT&T’s 3G network can handle the strain, it could be a boon to iPhone users. Akamai has been developing its content delivery network for about 10 years, setting up its servers close to customers rather than in large central data centers. The company has servers in about 1,000 locations in 750 cities around the world, feeding video and other network-intensive content directly into the “last-mile” infrastructure that goes to users’ homes and offices, Sagan said. Akamai has a network connection of 2Mb per second (Mbps) or faster to two-thirds of consumers in the U.S. and 5Mbps or greater to more than a one quarter of the population, he said. On the video press conference, Sagan watched streaming video from the HD Network on a large-screen display and demonstrated pausing, restarting, changing channels and jumping back and forth within a program with on-screen controls. The system will also allow viewers of live shows such as sporting events go back and watch a particular piece of the action and then resume watching the live portion of the event. Live shows will be delayed by no more than a few seconds, Sagan said. He did not demonstrate viewing on an iPhone. But the network is designed to adapt smoothly to changes in network speed so shifts in visible quality aren’t jarring to viewers, which is likely to be a key feature on mobile networks that typically run slower than 2Mbps and have varying signal strength. Users’ online video options on the iPhone have been somewhat limited. The device doesn’t support either Flash or Silverlight. If the HD Network can deliver the kind of smooth experience Akamai promises, it could significantly boost video use on the handset, said analyst Jack Gold of J. Gold Associates. But that could be bad news for AT&T, he said. Akamai’s specialized infrastructure for minimizing video stutter and delays only works as far as the nearest point on the Internet, not over AT&T’s cellular network. Akamai can put its servers as close as possible to the gateway between the IP network and cellular networks, but can’t influence how the wireless infrastructure handles the traffic, said Suzanne Johnson, Akamai’s senior industry manager for media and entertainment. Therefore, people using their iPhones over Wi-Fi might get the full HD Network experience while those trying to watch while on the road encounter performance issues, analyst Gold said. If the streams don’t work well on 3G, their popularity could be short-lived. “AT&T has now got to step up to the plate,” Gold said. But there may also be a role for Apple, he added. For example, it might adapt the iPhone’s software to shape traffic and cut unnecessary “chatter” from IP sessions, he said. Apple could not immediately be reached for comment. An AT&T spokesman declined to comment on Akamai HD Network. Updated at 11:53 p.m. PT with more information.